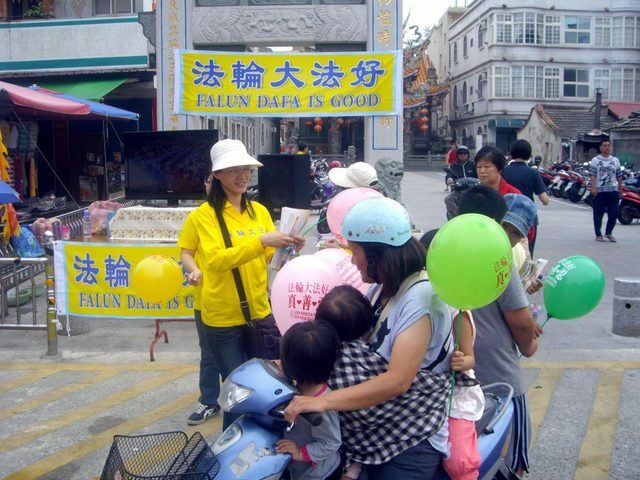 On May 12th, 2012, Falun Gong practitioners in Kinmen, Taiwan held an event to celebrate World Falun Dafa Day and the 20th anniversary of the public introduction of Falun Dafa. 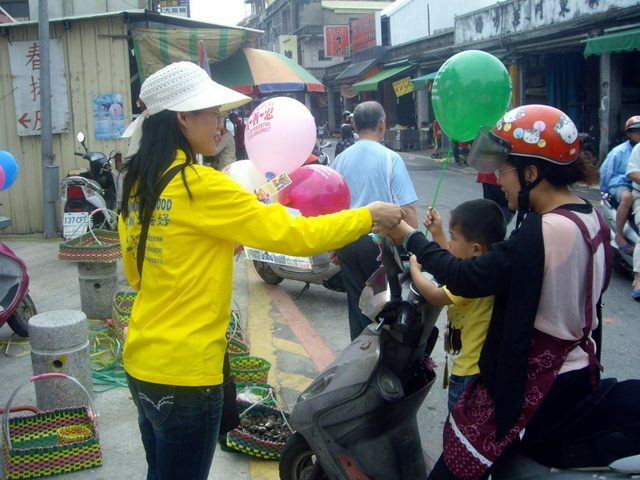 They introduced Falun Gong to local residents by distributing flyers, paper-folded lotus flowers, and balloons. They also showed video programmes. Kinmen is an island across from mainland China. 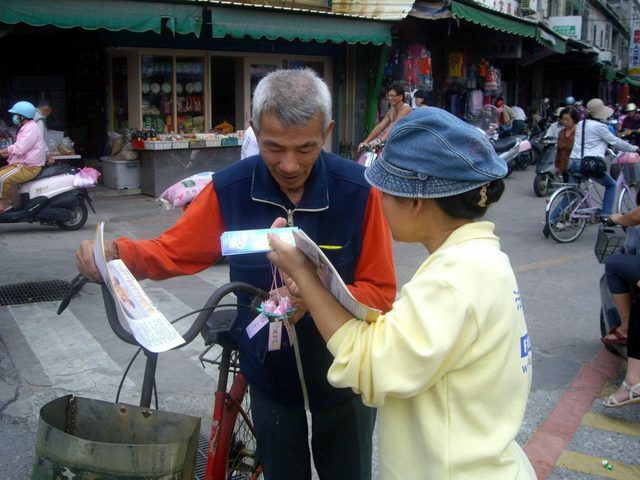 Due to the increased communication between Taiwan and mainland, local residents frequently visit the mainland. To let local people know that Falun Gong has spread to more than 100 countries and is a beneficial practice, the practitioners came to the east gate market early in the morning. Many people saw the golden lotus flowers and happily took them.